5G is expected to be available for use by the year 2020, surpassing 4G LTE, 4G, 3G, and the networks before it. A new wireless network is supposed to be developed every ten years and with less than four years to go, we need to continue developing the technology needed to make 5G a reality for consumers. The ideal wireless network is constantly improving, and these expected advancements describe the 5G network, as well as the future networks that will follow. You probably own a smartphone that you use multiple times throughout the day. According to recent data from the Pew Research Center, 64% of Americans own a smartphone of some kind, and about two thirds of these smartphone owners access the internet using their phones. In fact, the numbers even suggest that younger smart-device owners use their phones for text messaging and internet access statistically more than they do for making traditional phone calls. In a survey published in April 2015, 97% of 18- to 29-year-olds used their cellphones to go online, while 93% used their devices to make a call. These survey results mark a shift in the primary use of cellphones, creating a need for more data to keep the increasingly crowded mobile communications highway up and running. Industry leaders in mobile communications have agreed on a list of specific requirements for the 5G network that cater to a new age in mobile communications. As mentioned above, the high use of mobile data has prompted a need for ultrahigh download rates, with almost no latency. Although you could argue that your current download rate is fast, for 5G, it must be close to instantaneous. Because of this increase in data needs, 5G should also have minimized signal traffic to handle the heavy load of mobile users, which is always increasing. The ideal wireless network should additionally provide reliable service everywhere. This means that you will be able to have fast and clear service in rural and desolate areas, not just urban and suburban locations, as is the case with 4G and 4G LTE. 5G-compatible devices themselves should be relatively low cost and consume less energy so that they have a longer battery life than current devices. The way you charge your phone may also change. Some smartphones already have the ability to charge without a power cord — they are placed on a power base and charged through induction by transferring power wirelessly between the base and the phone. More advanced charging options are also being investigated, such as longer-distance wireless power transfer. In this case, a power base transmits small signals to charge a device from within a certain distance. Instead of plugging your phone into a wall, or even placing it on a base, you may soon be able to charge your phone while it sits in your pocket. Such advancements may be integrated into certain 5G technologies. A wireless charging station transfers power to mobile devices. 5G must be able to facilitate communication between connected Internet of Things (IoT) devices. Sources predict that by 2020, the year in which we should be able to support 5G, there will be 25 billion connected devices in our world. 5G needs to be able to handle the enormous data traffic of this web of connected smart devices, as well as that from the large amount of cellphone users worldwide. Besides the high volume of data traffic, 5G further requires enough speed to quickly analyze the data collected from IoT devices for practical use by consumers. As an engineer working toward the development of the 5G network, you understand that there are many design elements to consider. 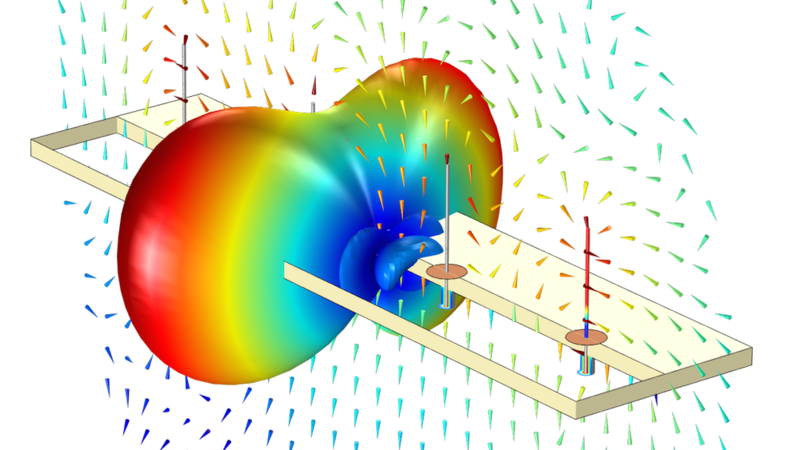 The RF capabilities of the COMSOL Multiphysics® software can shed light on this burgeoning technology. Currently, our wireless network cannot handle the amount of data we download — at least not at an optimal speed. To achieve the required data rate to handle the download speeds of 5G, our wireless network needs to operate in a wider frequency range. The frequency spectrum for today’s wireless network is around 1 GHz to 3 GHz. 5G not only has to operate at a frequency above 6 GHz, but it has to be able to handle a span of up to 100 GHz. For 5G, a frequency of around 30 GHz may serve as the backbone for the mobile communication network, meaning it will mostly operate around this range. The need for frequencies of up to 100 GHz is more complementary, for reasons such as extra capacity for the system and wider bandwidths for denser areas. You will recognize the importance of this requirement if you have ever tried to access the internet on your device while at a music concert or sporting event, where thousands of other people are trying to do the same thing. 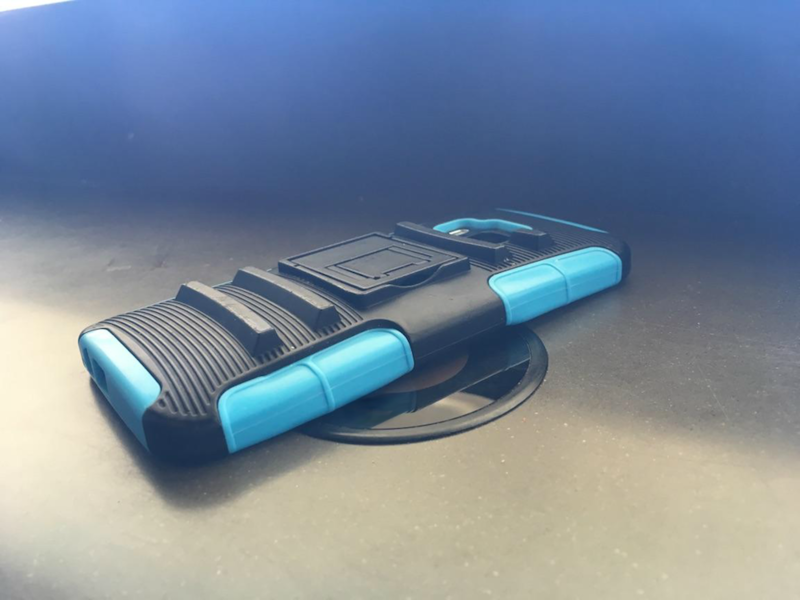 A complementary frequency range will also help for surges of use in natural disasters, when many people are trying to contact loved ones, and provide the extra “push” of service to more remote areas that may have never had decent mobile service before. A diplexer, one of the many components that will be used in 5G mobile systems, can help play a role in improving this issue. Diplexers split signals into two different frequency ranges that are designed for the wide range required for the mobile network. Within a diplexer, a lower frequency “listens”, or receives a signal, while the higher frequency “talks”, or transmits a signal. Simulation is a simple way to test different iterations of a diplexer design to determine the best settings. By studying the S-parameters and electric field of a waveguide diplexer, which we can compute through a simulation-based approach, we can see if the design will work well with the 5G mobile network. In the WR-28 waveguide diplexer model shown above, which is for Ka-band applications, a lower and upper bandpass are set to 28 GHz (left) and 30.4 GHz (right), respectively. The simulation shows that the input power at each passband is separately distributed without being coupled to one another. Another way to bring about the development of 5G technologies is to increase antenna gain in new mobile devices. This does not amplify the size of a cell signal, but rather increases the distance the signal can travel toward cell towers. If you think back to older, primitive phones where you would have to pull up the antenna to make a call, the circuit of the device would act as a quarter-length monopole antenna. These antennas had the same gain in all azimuthal directions, meaning the electromagnetic waves propagate isotropically on an H-plane so that the signal operates equally toward all directions and can more reliably reach cell towers, no matter the user’s location. 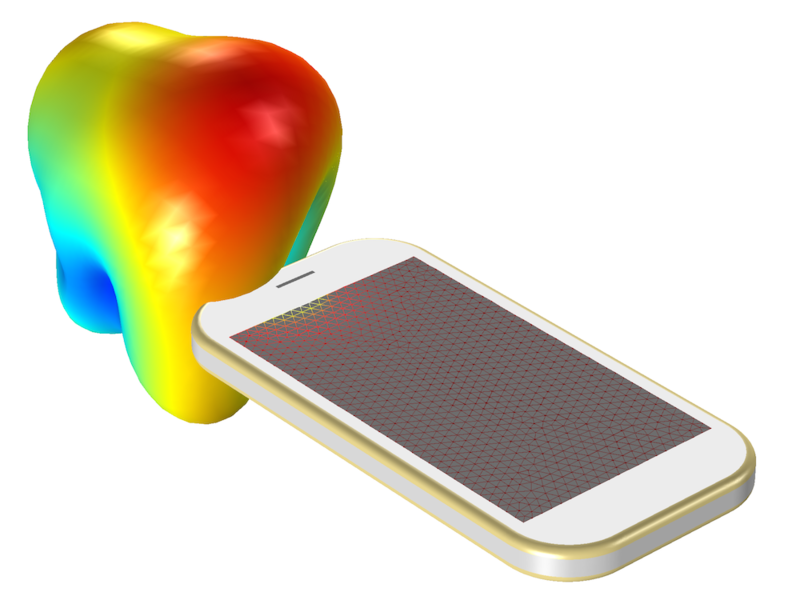 A 3D far-field radiation pattern of a planar inverted-F antenna (PIFA) in a mobile device. As cellphones continued to develop in both function and design, the antenna was miniaturized and embedded inside the phone’s body structure, thus distorting the ideal isotropic radiation pattern. Mobile communication progressed with the development of 3G, 4G, and 4G LTE, and cellphones started to include miniaturized multiband antennas instead of the quarter-length monopole version. The 5G network requires much higher frequencies. As Jiyoun mentions: “Since the attenuation in the air is more severe at higher frequencies while electromagnetic waves propagate, antennas will need to have an increased gain to reach a longer distance. Higher antenna gain means more directionality of its radiation pattern. 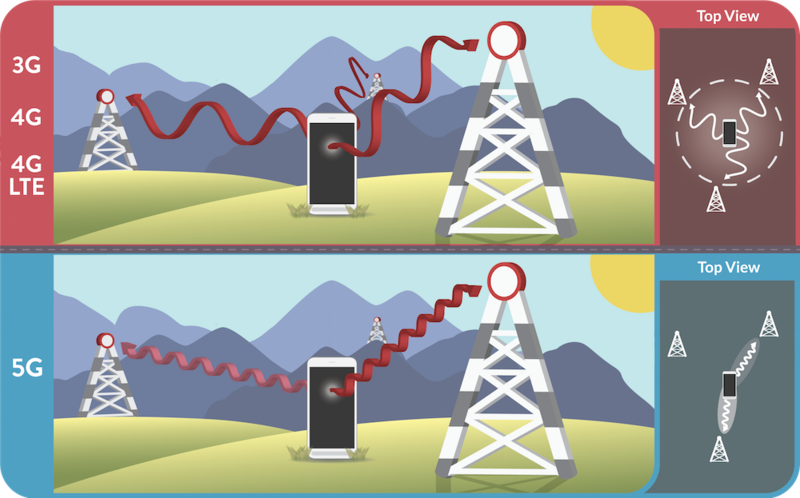 As a consequence, the antenna’s visibility, or angular coverage, is very narrow.” Because of this, cellphones would see the base stations in a very limited range. A quarter-length monopole antenna (above) propagates isotropically and operates on a lower frequency, while a phased array antenna (below) scans for cell tower signals with a farther gain at higher frequencies. In order to overcome the shortcoming of high-gain antennas regarding their angular coverage, it is necessary to use an active electronically scanned array (AESA), also known as a phased array, concept that shapes the radiation pattern and steers the beam from an antenna array by controlling the relative phases and magnitudes of the input signal. “The arithmetic phase progression on each antenna element in the antenna array changes the maximum radiation direction,” notes Jiyoun. “The direction of maximum radiation is normal to the equiphase plane, so the radiation pattern is tilted to the direction of the faster antenna element in terms of phase.” This is the basic idea of a phased array, which can steer the beam toward a desired direction. The far-field radiation pattern of a monopole antenna array. The optimal antenna for 5G technologies is a phased array antenna that can be built with microstrip patch antennas, which are made up of a cluster of regular antennas. By utilizing phase progression and the weight factor on each array element, the angular coverage and gain for the 5G network can be optimized. 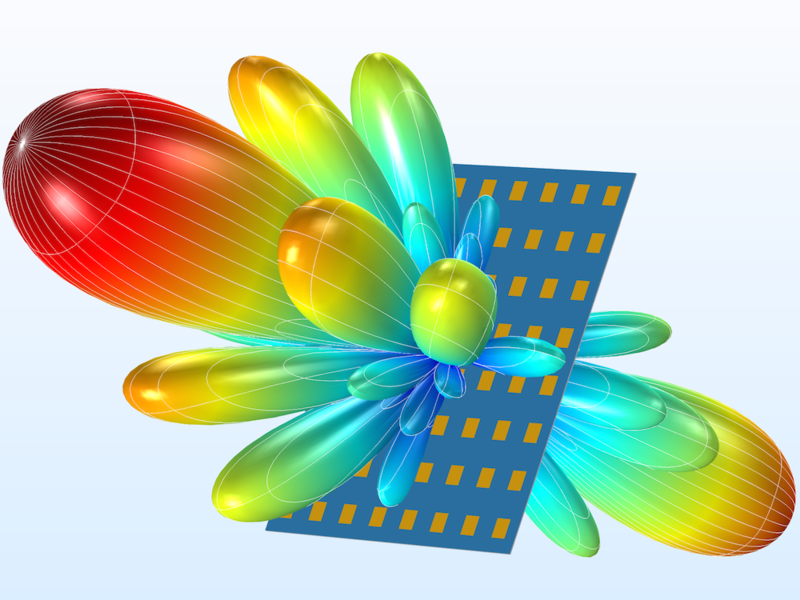 Using simulation, we can evaluate the design of a phased antenna array for 5G performance. 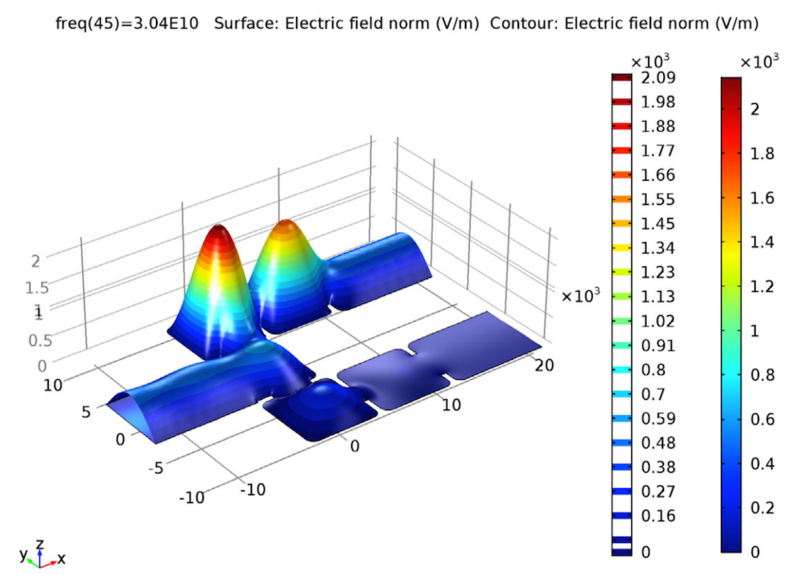 Computer simulation makes it simple to compute the far-field radiation pattern and perform a full-scale far-field analysis for a variety of input parameters. 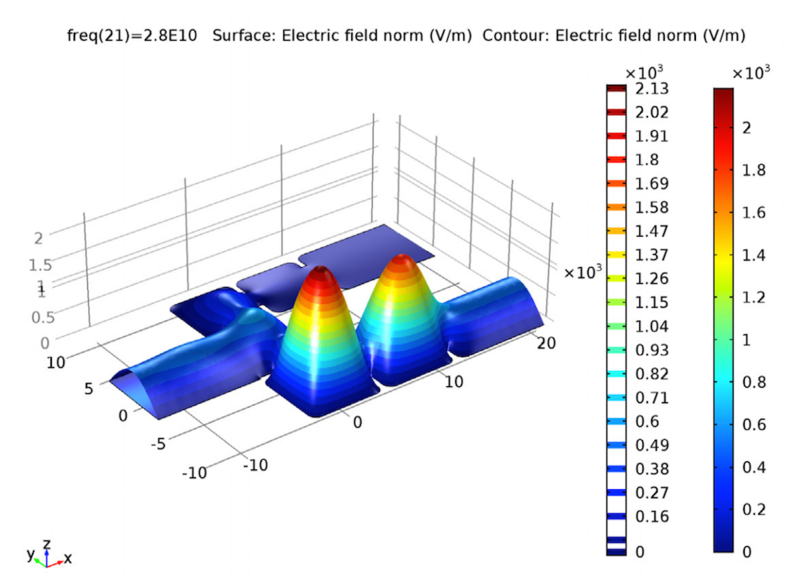 Simulation results for an 8×8 phased array antenna. 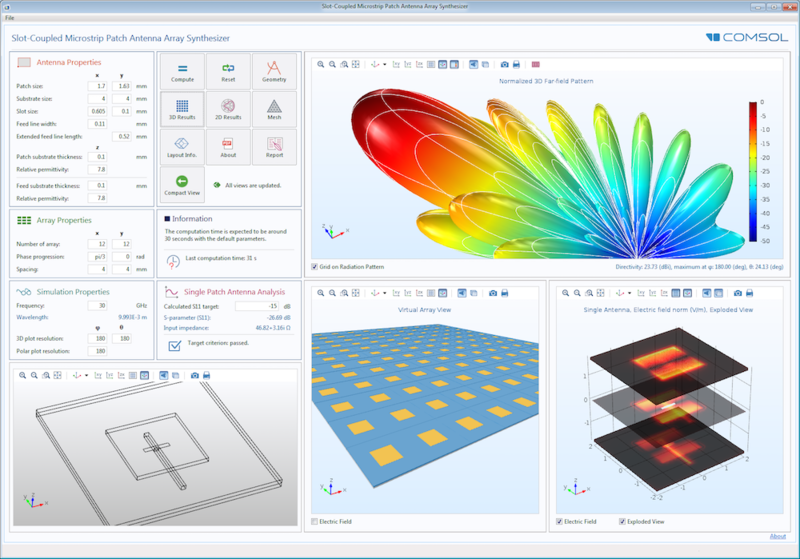 The Slot-Coupled Microstrip Patch Antenna Array Synthesizer demo app has a simplified user interface that can be used to run quick design tests to develop prototypes for 5G antenna designs. The app can be launched and run using a web browser, even from a remote place. “With this app,” Jiyoun says, “design engineers can examine the asymptotic solution of the antenna, and they can also share the app with other colleagues on their team in order to work together to build the optimal device.” Because the app is intuitive and specialized for this specific use, your own antenna design can be tested and retested in just 90 seconds, rather than the two days it would take to run a full computer simulation. 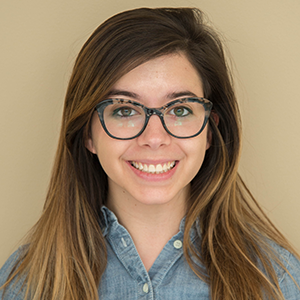 Building simulation apps is an effective and simple way to perform these analyses. The Slot-Coupled Microstrip Patch Antenna Array Synthesizer app. With the arrival of 5G, we will find ourselves making room for an even more technology-based society. The Internet of Things, which also goes by monikers such as the Internet of Everything and the Industrial Internet, is the term used to describe this new age of smart devices and information sharing. The popularity of the Internet of Things may be because of the fact that nearly every industry can utilize some form of IoT technology. Home automation and wearables, such as fitness tracking devices and smart watches, are popular uses of IoT that are able to track a person’s activity and internal statistics, connect this information to accessible apps on their smartphones, and analyze the data into knowledge that the individual consumer can apply to their home or lifestyle. As the 5G network continues to develop, more novel uses of IoT technology become available. In healthcare, IoT devices automatically disperse medicine and monitor patients based on their statistics and activity. In the media, smart devices track our entertainment and shopping preferences to automatically message us about related product information. 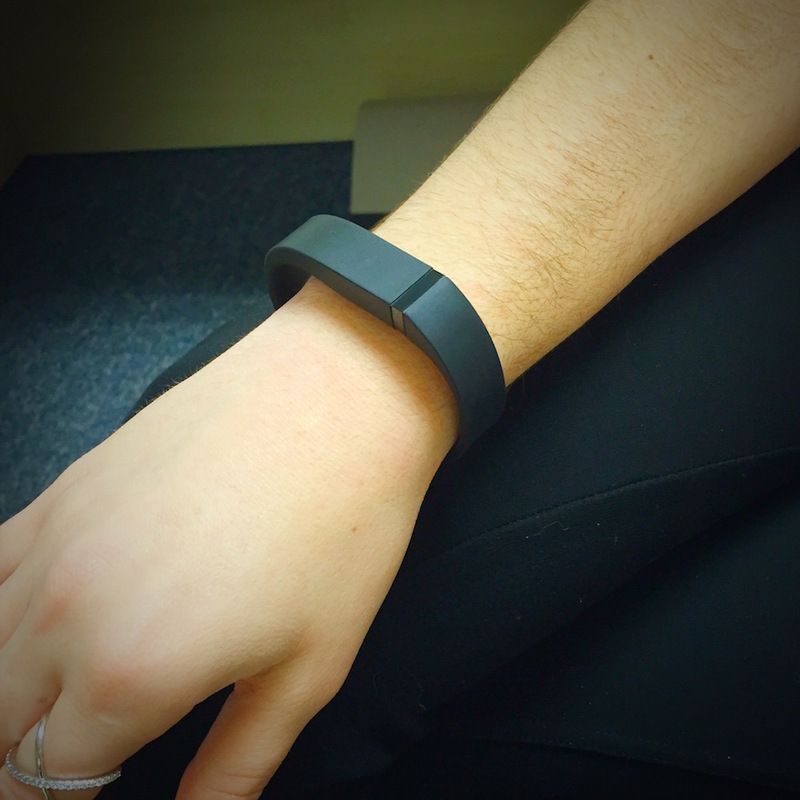 A fitness tracking bracelet, one example of how consumers use the Internet of Things. The data collected by these smart devices — whether tracking temperature, footsteps, environmental conditions, or various other factors — needs to be analyzed for the entire system of devices to be useful. The IoT system must then take the analyzed information and “tell” the smart object or objects what to do with it (turn a device on or off, send a message, disperse a medication, etc.) to complete the cycle. By studying the RF interference between these smart devices, we can create the best Internet of Things possible. There is almost no limit to the different applications of the Internet of Things, and by contributing to the development of the 5G network, we can optimize how each device communicates with each other for efficient operation. With a streamlined 5G network, the Internet of Things will be able to work to its fullest potential and become a global reality in just a matter of years. The arrival of the 5G network is only a few years away. By working with RF applications such as antenna gain, frequency range, and beam progression in more detail, we can ensure that by the year 2020, the technology of the future will be readily accessible to us all. Using the power of computer simulation and simulation apps, we can ensure that we have a hand in creating exceptionally fast and reliable technology for a new era in global communication. Let’s get started developing 5G technology — and a more connected world — today.